Special thanks to Craig Hoffman for sharing this photo with us. 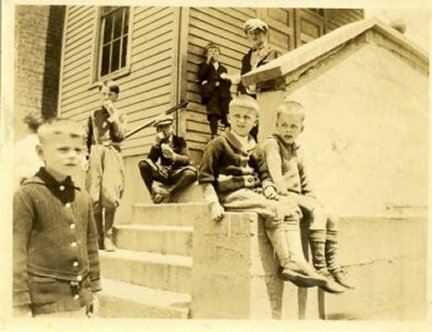 Photo shows school kids lounging outside on the front steps. Craig's father, Stearns J. Hoffman, is sitting on the wall, on the right. He was 6 years old in this photo.